Doubleday Books for Young Readers, 9780553511994, 48pp. Adam McKeown has taught literature and writing at Tulane, Princeton, Adelphi, and New York University. 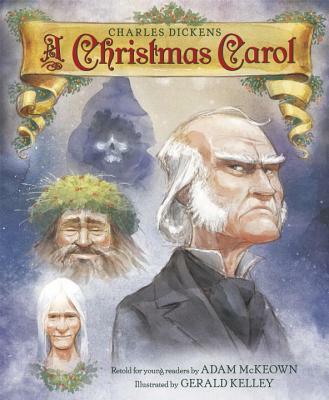 He is the author of several adaptations of classics for young readers, including a picture book retelling of A Christmas Carol (Doubleday), and has taught Shakespeare in both Africa and the Middle East. He is a 20-year veteran of the U.S. Marine Corps Reserve, and he has been deployed twice in support of Operation Enduring Freedom. GERALD KELLEY received his BFA from Texas Tech University and is the illustrator of My Name Is Bob by James Bowen and Garry Jenkins (the picture-book version of the New York Times bestseller A Street Cat Named Bob). Charles Dickens is one of his favorite writers, but Gerald doesn’t much care for gruel. He lives in Denver, Colorado.